Nexon and WeMade Entertainment are adding a new game to their free-to-play lineup. 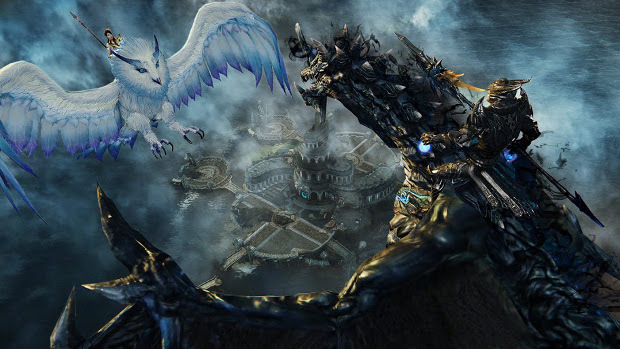 Riders of Icarus is a new MMORPG featuring aerial combat using flying mounts. Mounts include, but are definitely not limited to, dragons, pegasi, owls, bears, and more. Those interested in checking the game out can sign up for a local server beta test (North America and Mexico) — which will run from Thursday, Jan 28 to Tuesday, Feb 2. A larger closed beta test for North America, Mexico, Europe, and Australia/New Zealand will be announced at a later time. I been trying to do the Beta Sign Up, but I keep on getting a weird Captcha error. And same things happen… it’s a never ending loop. Guess I won’t be playing this game. Personally, I refuse to play any new games by Nexon after my experience with their games in the past. Can you play riders of icarus in a mac ? Flying pigs will be so much better. Deos that mean your mom is in this game?